Hello there fans, friends, and followers alike! Hope you all had a great weekend and are ready to get this week off to a great start! Recently I had the opportunity to be a part of a very unique food tour and dining experience. Now I have had the opportunity to do food tours and menu samplings all over the bay area, but this one was a bit unique, as our friends over at Ambassador Limousine joined forces with the famed Columbia Restaurant to offer a dining experience like no other at Florida&apos;s oldest and most honored Spanish Restaurant. To start we were picked up via limousine service by the ambassador limousine staff and taken over to the Columbia Restaurant. It&apos;s first class all the way folks, which is a very cool treat if you are like me and have never been in a luxury limousine! We didn&apos;t party it out like rock-stars (maybe next time), but it was still a treat having that first class/rock-star feel! Once we made it to the Columbia, we were greeted by the friendly staff and had some time to snap some quick photos before our tour began. The tour was led by none other than fourth-generation family member, Casey Gonzmart. At first I was thinking, that it would be a very quick tour and just hit the highlights of the restaurant, but when I say this is about as extensive a tour as you&apos;ll get anywhere, I mean it. 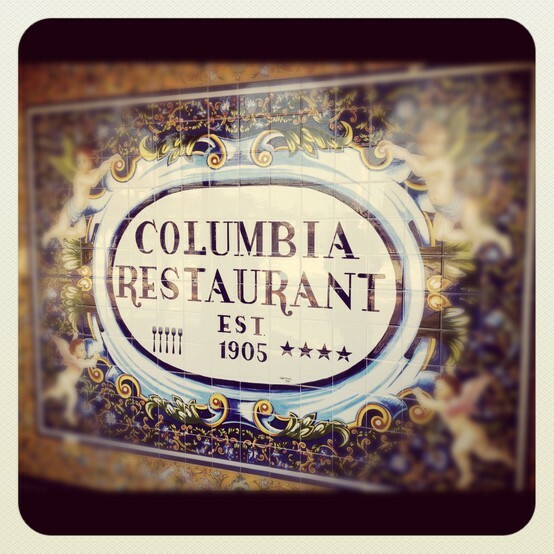 I&apos;ve had the pleasure of dining at the Columbia many times, but never truly understood the history behind the restaurant as told by a family member. From the history of the artwork on the walls, to the history of each tile on the floor, Caesar left no stone unturned in his story of the Columbia. I can&apos;t even begin to tell you the entire history and all that I learned from Casey in this one blog post, so feel free to check out the Columbia Restaurant website and get the full history there. It&apos;s quite a remarkable story! Of all the areas of the tour to include the 10+ dining rooms, wine cellar, and 52,000 square feet, the highlight of the tour for me was no question the tour of the kitchen. You have to see this folks, as how many times in your lifetime will you see a 5,000 square foot kitchen? It&apos;s a far cry from the kitchens at McDonald&apos;s I worked at when I was a teenager, and this was truly a sight to see. We got to see staff making Cuban sandwiches, as well as the famous 1905 salad! Speaking of Cubans and the 1905 salad, once the tour was finished, we sat down to eat lunch to cap off this amazing tour. They started us off with Cuban bread and the super famous 1905 salad, which is probably the most amazing salad you&apos;ll ever have. For my entree, I went with an oldie but goodie and got the Cuban Sandwich and Black Bean soup! It was a great tour and I learned a lot about one of Tampa Bay&apos;s finest dining spots. For more information about booking this tour, The Columbia Dining Experience has three different group tour options starting at $44.95/person, and you can book your tour by calling 866-508-9050. 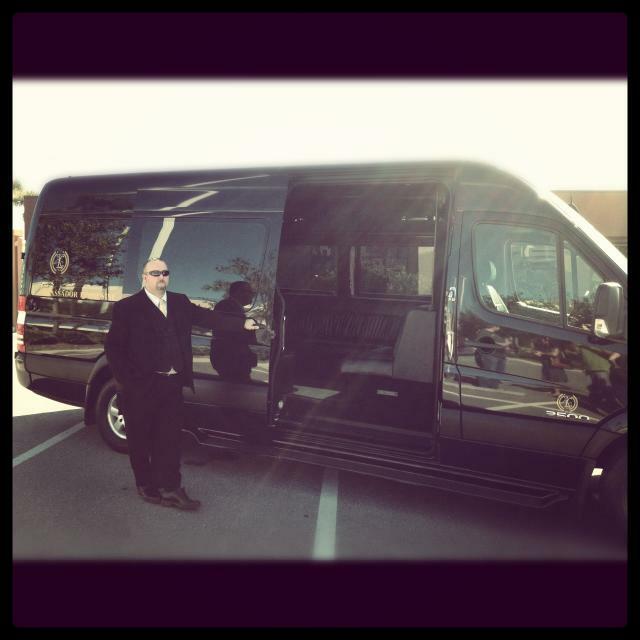 Ambassador Limousine is also offering a variety of Day Tours that features luxury destination experiences to some of Tampa Bay’s most popular attractions in one of their premier vehicles. Upcoming Day Tours include “King for a Day” with a yacht adventure by King Marine, Girls’ Getaway with shopping or spa days, and Pepin Paring Parties where you can work with master brewers within Pepin Distribution to determine the perfect combination of alcohol and food. Feel free to check out some of the images from the day, and be sure to check this tour out! That&apos;s all for now, but stay tuned in for more updates on things to do in Tampa Bay and Tampa Bay dining tips!